IRI designed an interactive website for the American Osteopathic Association. The website is complete with a menu full of informational changes to the industry as well as an Osteopathic Family Road Trip that helps navigate change and drive quality. 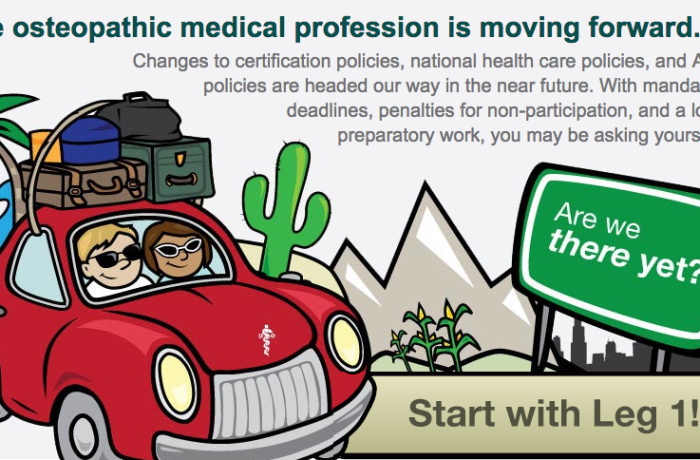 The osteopathic medical profession is moving forward. Changes to certification policies, national health care policies, and AOA policies are headed our way in the near future. With mandatory deadlines, penalties for non-participation, and a lot of preparatory work, you may be asking yourself, "Are we there yet?"